Organisation is key to a successful kitchen or bathroom makeover, and who doesn’t find life easier with a few guidelines in place? Here, some experts share their advice to ensure your project goes to plan. A renovation budget shouldn’t just be in the funds you can lay your hands on. You must work out how much you’ll need to spend in as much detail as possible. As a rule of thumb, budget 10 per cent of the house value for a kitchen reno and 5 per cent for a bathroom makeover. “Then add at least 10-15 percent (of that amount) as a contingency” says builder Wayd Munro of Focusbuild (focusbuild.com.au). “You will almost certainly need more than you think.” Make sure your architect and builder are fully aware of your budget. As work starts you need to keep track of variations and any additional costs. “People often approve variations early on in a project, thinking they have lots of money only to realize towards the end that they‘ve spent more than they budgeted for.” says Wayd. We’ve all heard of the horror stories about inflated quotes, shonky work and no-shows, but the majority of Aussie tradies are highly trained and work to a high standard. So it’s worth the legwork to find them. “Word of mouth is your best bet” says Wayd. “If a builder comes recommended, you can pretty much guarantee they are among the best in their trade.” Make sure you check the currency of all licenses and insurances. Once you have the right team in place, use them! Don’t overestimate your DIY skills – most jobs on a kitchen or bathroom reno are best left to the pros. Even though the kitchen and bathroom make up relatively small parts of your entire home, getting the floor plan right is vital. “Make sure each space flows, with good circulation and function,” says interior decorator and stylist Lisa Koehler (@lisakoehlerstylist). “Consider how you currently use the space and how you would like to use it to suit your daily needs.” Write yourself a brief for each space – this will help you make decisions and will form the foundation for the design. Can’t stand the thought of being without your kitchen or bathroom throughout the reno? People often think it’s a great time to take a trip, but that’s rarely the case. “Many mistakes can be avoided simply by being on hand,” says Wayd. “If there are problems, such as the wrong tiles or appliances being delivered, they need to be solved with minimum cost and stress.” Even if you have a project manager, these are still times when you will be needed onsite. 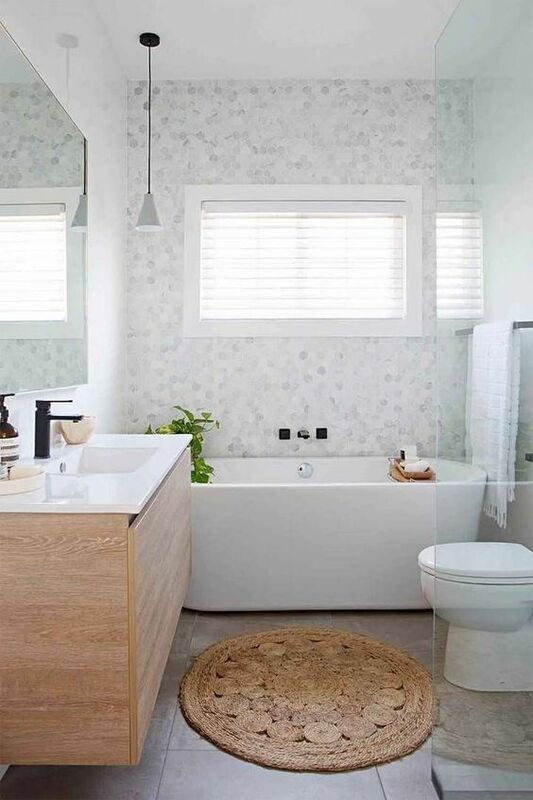 Some things won’t come as a surprise – noise, dust and more dust, are part and parcel of a reno, even when work is limited to the tiniest of ensuites. But there will always be things you haven’t factored in, especially if you are renovating an older home. Unforeseeable problems with plumbing, asbestos, mould and dodgy work by previous owners are all things that will eat into your time frame and your budget. When that happens, just think how pleased you’ll be that you followed rule number one!